..::THOR::.. Mojave Refuge - Arizona @6º Republic Event New!! ..::THOR::.. NOWHERE Sign @6º Republic Event New!! --ANHELO-P02BR-185GA :: bush B (brown) @6º Republic Event New!! --ANHELO-P02BR-185GA :: bush A (brown) @6º Republic Event New!! --ANHELO-P01BR-185GA :: shed side tree (brown) @6º Republic Event New!! BackBone Western Ways - Deer Trophy RARE @6º Republic Event New!! BackBone Western Ways - Kerosene Lantern @6º Republic Event New!! BackBone Western Ways - Gold Pan @6º Republic Event New!! *AF* Santa Fe Patio 09 - Hurricane Candle Hanging @6º Republic Event New!! *AF* Santa Fe Patio 02 - Lounger RARE @6º Republic Event New!! *AF* Santa Fe Patio 03 - Chair @6º Republic Event New!! APT B // Hillbilly Livin' - Mailbox @6º Republic Event New!! 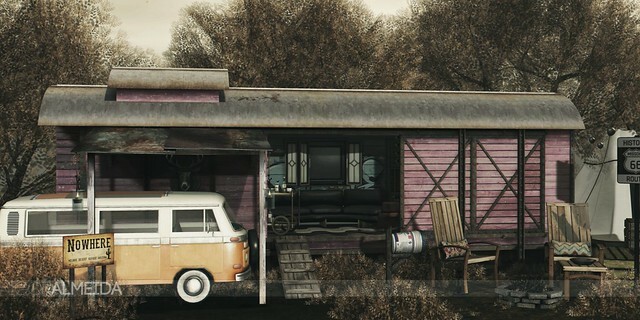 APT B // Hillbilly Livin' - Campfire RARE @6º Republic Event New!! ~isil~ *Maine* Lobster Crate (Bare) @6º Republic Event New!! ~isil~ *Maine* Lobster Crate (Yellow) @6º Republic Event New!! -David Heather-Balla Rug @6º Republic Event New!! -David Heather-Balla TV Cabinet @6º Republic Event New!! -David Heather-Balla Bags @6º Republic Event New! !